There are some tough topics to talk to your children about. Communication is very important in any relationship. I know talking to your child about drugs can be daunting, but it doesn’t have to be. It could save their lives, keep them out of trouble and help them make good choices. Your children are going to make mistakes as we do, but if we talk to them, maybe they can have the tools to make the right choice. When I was in school, we had drug free clubs and classes, I felt like they were a great resource and it made me not want to use drugs. Peer pressure can be so hard though. Your child will be offered drugs, just as you probably were. You can’t think that your child will be immune to this, because unfortunately, they won’t be. You can’t possibly be everywhere all the time, as your child gets older, they will want independence. You don’t have to wait until you suspect your child is on drugs to take action. Here’s the truth about drug use, it can be a problem for anyone. It doesn’t matter how old you are, where you are from, what your background is, it’s everywhere. You might not know how to bring it up in a way where you aren’t accusing them. Here’s an idea, buy a First Check Drug Test and just set it on the counter and say nothing. It will definitely start a conversation. If you are watching a movie with your teens and there’s drug use, ask them if they have ever been asked to use drugs. Drugs are an epidemic today. I am not even talking about like pot, it’s heroin, and cocaine. That’s some serious stuff right there. Drugs seem glamorized in music and movies. One of my favorite movies is Requiem for a Dream. I highly recommend that everyone sees it, because it shows you the real effects of addiction. It’s pretty graphic at times but it’s a great movie. It worries me that Noah will be offered those substances. I have already had conversations with him about drugs. He knows that he’s not supposed to do them no matter what. We have a system where if he needs to leave a friend’s house that he can always come to me. Last Halloween while we were trick-or-treating one of my neighbors was offering a bottle of beer to the adults taking their kids around. I jumped at the offer. I am not a big drinker, and Noah knows this. I am not an order a drink with dinner person. He looked at me like I was crazy. I explained that I was getting it to make onion rings. I love beer battered onion rings but getting a single beer is difficult to do. I don’t like to drink beer so it would just sit in my fridge until someone drinks it, or I throw it out. Here’s some reasons why you should purchase and drug test your age appropriate child before it’s a real problem. If your child knows you will drug test, they know they will get caught and in big trouble. You aren’t accusing them, you are protecting them. It’s a good conversation starter about drugs in general. Be sure to be open to the questions. You might be asked by your child if you did drugs when you were younger. It’s important to be honest with them. You can tell them you experimented with it, and didn’t like it. You can talk to them about peer pressure and how sometimes it is hard to feel like you fit in. You realize it was a mistake and you don’t want them to repeat that mistake. Starts a conversation about peer pressure. Give them some tips about how to deal with it. Talk to them about how drugs are not cool. They are stupid and ruin lives. If your child tests positive, you are supposed to send the test in for free for lab testing. If it’s positive, you will probably be upset. You need to remain calm and talk to your child about it. You cannot fly off the handle. You cannot act like it’s not a big deal because it really is. You don’t want to come off like you don’t care about it. Remember that your child will make mistakes. You need to take the steps necessary to get them to stop. If it’s a big problem, get them in treatment or counseling. They may be mad at you but I promise you that they will thank you later. Keep an eye on your medicines and keep them locked up so there’s not a temptation to take some when you aren’t looking. A small safe is a good idea. Drinking is also something that kids do. Drinking is not a good thing either. It’s seems to be readily available and most homes have alcohol in them. It’s important to not be that cool parent that says, “If you drink, at least do it at home, where you are safe.” That gives them permission to do it, and they will be more likely to do it when they are out too. 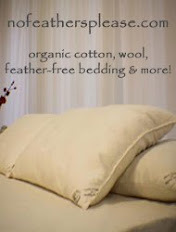 I have a giveaway for you! 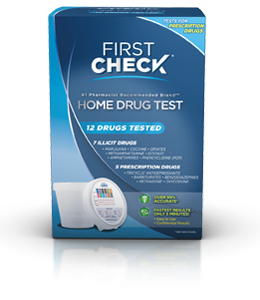 I am giving away 4 First Check 12 drug tests! Please fill out the form to be entered to win. This post is sponsored by First Check, all thoughts are my own.